The Randall Research Scholars Program (formerly Computer-Based Honors) is a nationally recognized undergraduate research program which pairs exceptional students directly with leading research professors and cutting-edge computing technology to complete scholarly research projects in any field of study. The Randall Research Scholars Program (RRSP) at The University of Alabama has been cited by the National Institute of Education as one of the six most intriguing honors programs in the United States and was the first university-wide undergraduate research program in America. Randall Research Scholars gives outstanding students majoring in any field the opportunity to work one-on-one with professors while applying computing technology to a research project in their major field of study. Whether you want to be a doctor, lawyer, chemical engineer, marketing executive, or English professor, applying research skills and computing technology to your career field is essential for success. During their freshman year, students complete an intensive series of courses on technology fundamentals, problem solving, project management and research fundamentals. These essential skills enable students to quickly learn and adapt to new knowledge domains and technical environments required for faculty-directed research projects. Throughout their sophomore to senior years the RRSP students will interview with faculty and select a project to work on as a research assistant with a faculty member who will act as project director. Students will typically work on projects in areas related to their academic discipline; however, they may elect to work in an unrelated field to challenge themselves and broaden their exposure to academic research. We would like to invite all Computer-Based Honors Program alumni to join our online community. 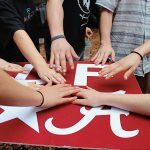 Go to https://uahonorsalumni.ua.edu to begin building your profile and connecting with alumni across the country! Students eligible to apply for the Honors College (30 ACT or 1360 SAT and 3.5 High School GPA) are eligible to apply for the Randall Research Scholars Program. On average, the 2016 entering class had above a 33 ACT or 1450 SAT and 4.27 GPA. 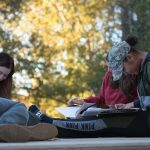 Students can apply through the Randall Research Scholars application after completing the Honors College Application through their MyBama account. The selection committee will review the applications to determine the finalists for admission. Finalists are then brought to campus for the interview process. Applicants will be notified of their status during the first week of February. All communication will be through the student’s Crimson email account assigned by The University of Alabama. All RRS application decisions will be emailed to the applicant’s Crimson email account. Each semester faculty members across campus are encouraged to submit a research proposal using the RRSP Project Proposal Form. Based on their academic backgrounds, interests and the perceived value of the project, RRSP students select a project and meet with the faculty member to negotiate a contract for the scope of work the student is to accomplish during the specified project period. Projects may be worked on by a single student or a team of students based upon the breadth and depth of work to be accomplished. In addition, a project may last one semester or span several semesters provided there are incremental deliverables to gauge the student’s progress. RRS Live is a live, interactive broadcast of research projects conducted by students in the Randall Research Scholars Program. Students discuss the goals, outcomes and societal impact of the research they’ve conducted during the Fall Semester. Check back in the fall for information about RRS Live 2019. For a complete list of presentations and to watch RRS Live, go to http://live.cbhp.ua.edu/.